Further details about AMD’s Ryzen roadmap have leaked out from Informatica Cero (via Videocardz). It looks like AMD will be adopting an “Inflection – Optimization” approach that is vaguely reminiscent of Intel’s old tick tock schema. The inflection iterations will introduce new processor technologies and new processor cores while as optimization will, well, optimize the architecture further. 2018 will be a year of Optimization and increasing efficiency and process maturity will be a focus for AMD. Pinnacle Ridge and Raven Ridge as well as Threadripper 2nd Generation all constitute part of this plan to roll out the “Zen+” lineup. We can expect increased clockspeeds and modest performance improvements over the last generation. In 2019 however, AMD expects to enter the Inflection phase and will transition to 7nm. Threadripper will be succeeded by the 7nm HEDT variant codenamed “Castle Peak”. This might or might not be a pun to Intel’s Knights Landing series of processors. Matisse will succeed Pinnacle Ridge on the mainstream CPU side while Picasso will succeed Raven Ridge. All of these 7nm products will be officially called the “Zen 2” lineup. We have actually heard quite a bit about Matisse and Starship as well as the Zen 2 platform with both originally rumored to arrive in 2018 (which I pointed out as unlikely). 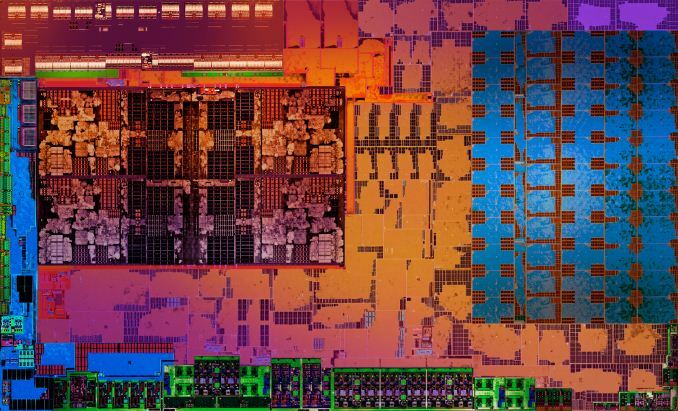 AMD Starship is also based on the 7nm process and Zen 2 architecture and will be a server CPU to go against Intel’s Xeon Phi series. Considering the fact that Starship will be based on the 7nm process not only will it be more economically viable (in terms of cost effectiveness and $ per transistor) than the 14nm implementation of Zen but it will also be much more power efficient. If AMD continues its value philosophy forward with Starship, then it can eventually go on to pose a significant challenge to Intel Xeon and Xeon Phi chips. The Xeon Phi co-processors will be the only offerings from Intel which will outstrip Starship in terms of the raw core count. As is usually the case with chips from the blue giant however, they are very pricey and when it comes down to it, the use cases that these chips are targeting can be achieved just as easily by employing more than one processor as long as it is cost and power effective. If the 7nm FinFET process is anything like past nodes, it will be based on a 10nm backbone, and EUV lithography (which is technically good till 5nm) should be able to take us that far. Even then, late 2018 is the earliest we can expect any working x86 processor on the 7nm node to materialize, otherwise we are looking at the same 2019 estimates for 7nm chips. 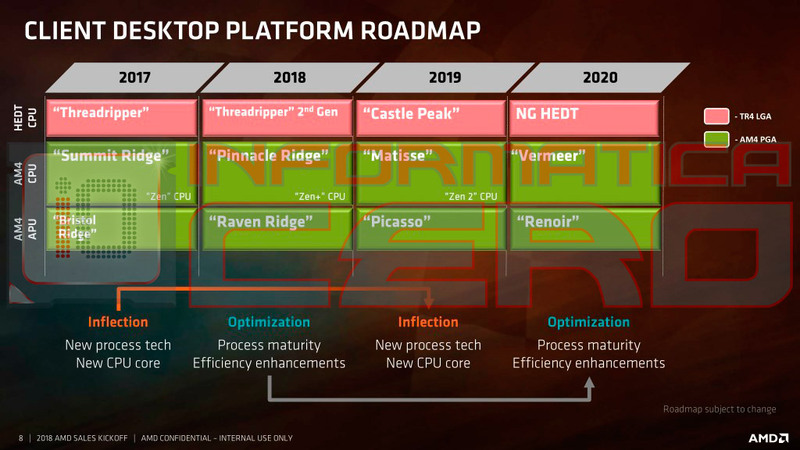 Finally we have 2020 where we will enter the Optimization phase once again and threadripper will be succeeded by NG HEDT (Next Generation HEDT) with Vermeer and Renoir taking over the mainstream and mobility side of things respectively. According to Videocardz, Picasso will be based on Zen2 while Renoir will be based on Zen3.